Barcelona is Spain’s second-largest city, with a population of nearly two million people and the capital of Catalonia. A major port located on the northeastern Mediterranean coast of Spain. The many faces of Barcelona include the medieval Old Town, the unique street grid resulting from 19th century urban planning. The city has both long sandy beaches and green parks on the hills. Barcelona is famous for a number of buildings, of which perhaps the most-known are by the architect Antonio Gaudi, including his Sagrada Familia. 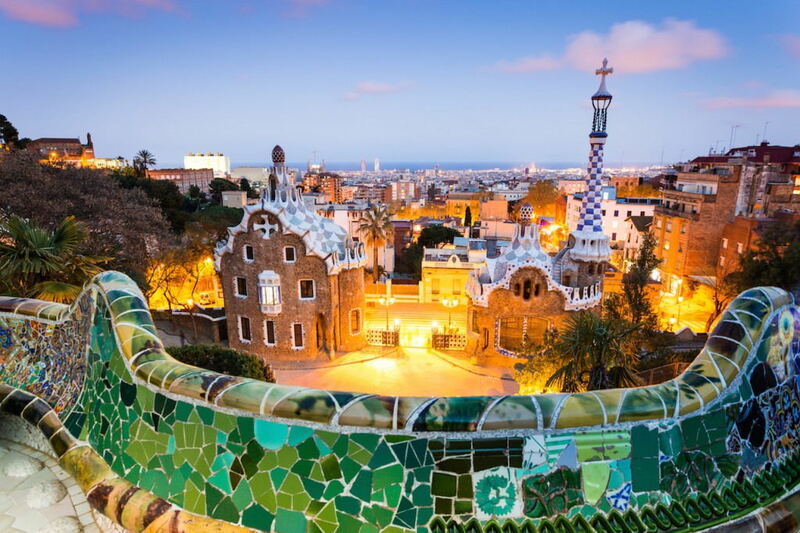 Barcelona is thus as historic as it is modern, with a constant flow of projects changing the face of the city and long-standing penchant for design and innovation. Barcelona is a bilingual city where Catalan and Spanish are spoken. Catalan is the most spoken language for most people in Barcelona. Whether you’re visiting Barcelona for the first time or you’re a seasoned traveler, this information would be helpful when you trying to blend in with locals. Barcelona International Airport, El Prat, has two terminals (T1 and T2), are linked by a shuttle bus (every 5 to 7 minutes, traveltime 12 minutes). By Taxi: € 30- € 40 to the city centre. Taxi and minibuses can be pre-booked online. Tip: Aerobuses stop running at midnight, but you can catch a nightbus service instead (line N17) between 10:00 and 5:00, every 20 minutes. Journey time to Placa catalunya: 40-50 minutes. Most of the public transport system in Barcelona is operated by the TBM and FGC. Tickets are valid on the lines of both companies. 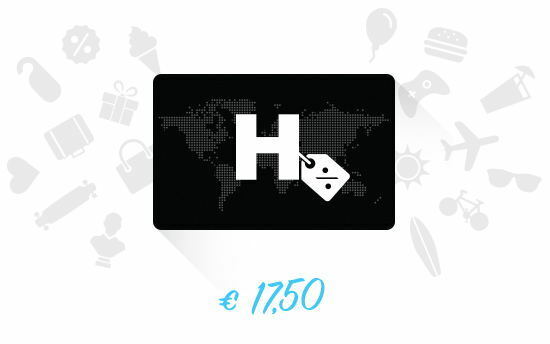 Travel Card for 1 day: € 7 (1-zone), which is where all the major sites are located. Singelticket: € 2. The metro runs until midnight, sunday to thursday, until 2:00 on Friday, and all night on Saturdays. Purchase your tickets in a Metro station because buses only issue one-way tickets. As in other European Union countries, the official currency is the Euro (€). 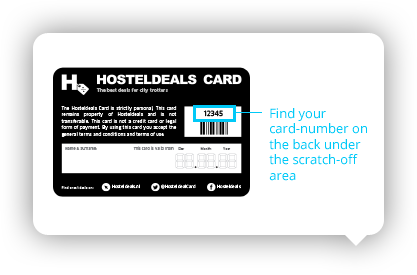 Visa and MasterCard are accepted everywhere, with the exception of some small shops and restaurants; most hotels/ hostels take American Express. The city has one of the most extensive networks of ATM machines in the world. Visa, MasterCard and American Express can be used to make cash withdrawals. 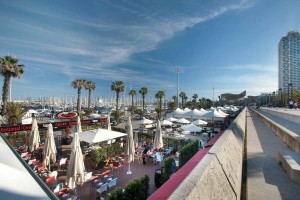 Barcelona enjoys a privileged Mediterranean climate with mild winters and warm, occasionaly wet summers. Spring and autumnare the best times to visit the city. Barcelona is a city known for its amazing nightlife. There is a huge variety in bars, pubs and clubs. From a tiny, cozy traditional Spanish bar to a lot of different amazing clubs. The entrances for the clubs vary from 10 Euros to a maximum of 25 Euros. Fridays and Saturdays are dominated by a cosmopolitan mix of tourists, and stag & hen parties. Sunday nights are busy with locals as many shops and restaurants are closed on Mondays. 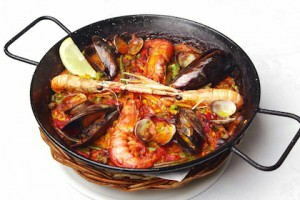 Most of the action is centred around La Rambla, the wide boulevard stretching from Placa de Catalunya to the Port Vell. There are usually street entertainers wowing the crowds – mime artists, clowns, acrobats, flamenco dancers etc. 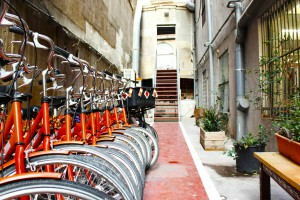 Wandering the streets adjacent to La Rambla – the Gothic district (Barrí Gotic), Raval and Born will reveal many fun bars, often aimed at students and budget travelers.